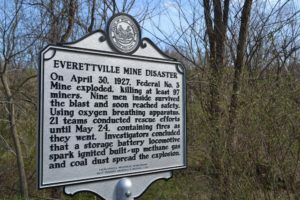 Today marks the anniversary of the Everettville Mine Disaster. On April 30, 1927, there was an explosion at the Federal No. 3 mine owned by New England Fuel and Transportation Company, in Everettville, Monongalia County, WV. One hundred and eleven people were lost, and nine were saved. 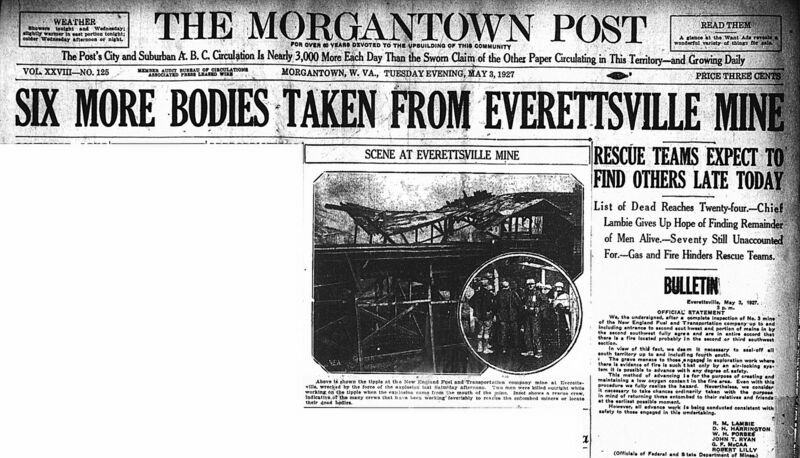 Below are the newspaper headlines for the following week–the disaster happened at around 3:30 PM so it didn’t make the evening edition of the Morgantown Post on April 30–the results of the Great Mississippi Flood took up a lot of front page space that day. The Everettville mine disaster was reported in a number of local newspapers and even made national news. One account of the disaster comes from John Spiker, a mine worker about whom we know little more than that he was present at the mine on April 30, 1927. He recounts his experience in a letter dated November 7, 1927 which he wrote to his grandfather, Watson Tenney. Danny Lee Tenney donated a photocopy of this letter to the WVRHC, and it is available to researchers as A&M 3931. I worked 62 hrs after the explosion without a stop or sleep then slept 8 hrs and worked 56 more. I had just come out of the mine about two minutes before it blew up and was standing in one end of the lamp house (which stood between the two mouths of the mine) talking to a man in the mine on the telephone when it blew up. The lamp house is built on tile blocks and the force of the blast smashed both ends of the building and threw me clear into the other end of the building from where I was standing. I limped to my feet and looked out at the pit mouths and they were belching a red flame of fire which shot strait out of each for at least 300 feet. There were 9 of us there all within 50 feet of each other and the lamp man and I were the only ones who escaped as five of them were killed outright and two died later on. There was one section which was isolated from the rest of the mine and I felt sure there were some men in there who were still alive. I took two men with me and put on gas masks and took a bunch of masks with us and when we got into the back end of this section sure enough there were nine live men in there. We put the masks on them and brought them out alive. He continues his letter with a description of the slow rescue efforts in which he participated; he said it took nearly six weeks to get everyone out. After the recovery work was finished and the mine reopened, Spiker chose not to continue working there. 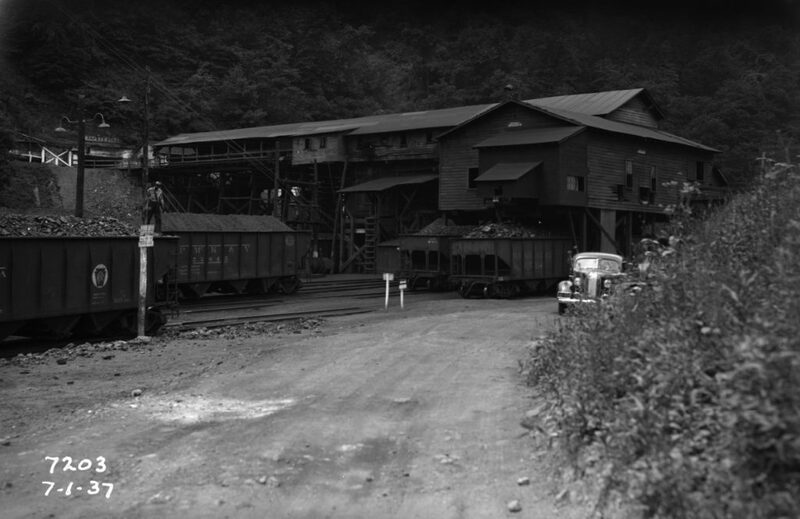 The mine continued to operate through at least 1951. This image, labeled Federal No. 3 Mine Tipple and dated 1937, may be the same No. 3 involved in the disaster ten years earlier. This image is part of the Historic Pittsburgh collections. One of the men who died in the mine disaster was Henry Russell, an immigrant from Scotland. Trapped in the mine after the blast, he wrote notes to his family and stored them in his lunchbox before he died. In 2007, Diana Jones was asked to write as song for the memorial event to commemorate the 8th anniversary of the disaster. She wrote “Henry Russell’s Last Words” based on the notes that Mr. Russell had written to his father and wife. You can read a transcription of his last words and the lyrics to the song here: https://www.scotsman.com/lifestyle/miner-s-dying-words-create-song-of-tribute-1-1418801. His words give a vivid and touching picture of who he was in his final hours. Today, there is a historical marker, a miners’ memorial, and a park near Federal Mine No. 3; the memorial lists the names of all the miners who perished there throughout the mine’s history. You can also see that list of names here: http://www.wveha.org/wveha2/Victims. A&M 3931, John Spiker, Letter Regarding Everettville Mine Disaster, West Virginia and Regional History Center, West Virginia University Libraries. http://archives.lib.wvu.edu/repositories/2/resources/3040 Accessed April 26, 2018. Jones, Diana. 2014. “Writing ‘Henry Russell’s Last Words’.” Goldenseal: West Virginia Traditional Life 40, no. 3 (Fall): 48-49. Spohr, Eleanor. 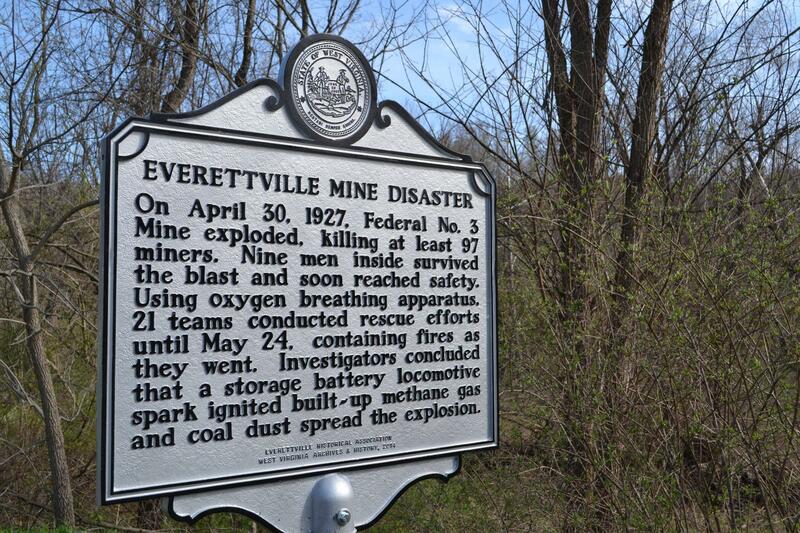 “Everettville Mine Disaster.” e-WV: The West Virginia Encyclopedia. 03 February 2012. Web. 26 April 2018. Tragic loss of lives. I live close to where this happened many years ago.